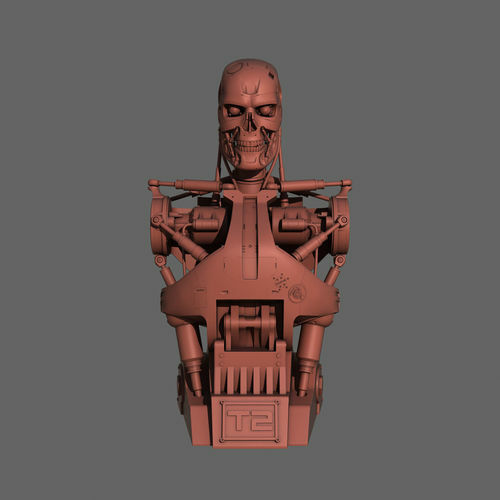 Terminator T-800 Torso Bust scale 1:1 for 3d printing. Size: Length - 450mm; Width - 362mm; Height - 785mm. Files: 3ds, fbx, obj and max - bust assembled. Polys: 430 480; Verts: 427 852. Polys: 3 433 224; Verts: 1 716 640.